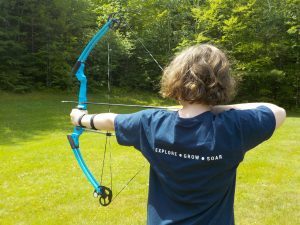 campalsing.com | What's it like to be a camper at Camp Alsing? Fun! Our campers are bright, passionate about their interests, and want to share their experiences with others. Our campers may also have social challenges, such as noticing they are having a one-way conversation, flexibly accepting changes in the schedule, or trying something new that is a little out of their comfort zone. What is a Camp Alsing camper like? Children who will thrive at Camp Alsing are socially interested, but need some support in navigating relationships and being more flexible. 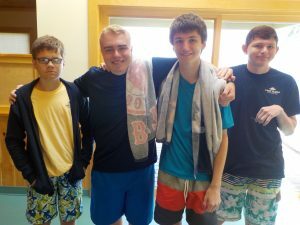 Some campers may come to us with social communication challenges that don’t fit a diagnosis or label, and others may have been identified as having Social Communication Disorder, Asperger’s Syndrome or High Functioning Autism. There are many opportunities for Growth at Camp Alsing. Living in an outdoor environment engaged in activities like swimming, crafts, canoeing and hiking provides our campers with opportunities to try new things in a safe, and caring environment. We support campers as they stretch their boundaries and celebrate their efforts as they face new situations. Wherever a camper is in this process, we are excited to work with them. We are happy to discuss any questions you have regarding our individualized approach to learning and growth. Please note, our program is designed for verbally fluent children ages 9-17 years old, and is not appropriate for children who have significant behavioral challenges, such as aggression or property destruction.